Get recipes, home brewing articles, our podcast, beer brewing software, and more. 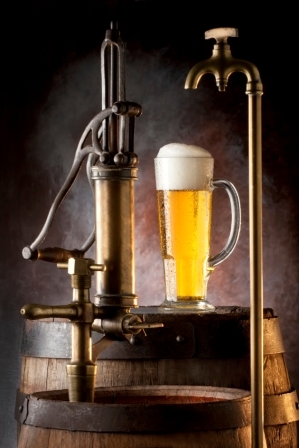 Learn about making beer at home, talk on our discussion forum & visit our Brewing Wiki. This week I’ll give you my picks for top home brewing books. As you might expect I have a pretty extensive library of brewing books, and I also know many of the top authors well. I’ve included Amazon associate links for each book which you can use if you want to support this site. Many of these books are also available in your local brew shop or book store. This substantial book by my friend John Palmer is considered by many to be “the book” for home brewing. Updated in 2017 to its 4th edition, and weighing in at 582 pages this in-depth book covers almost every possible brewing topic. It is a more technical read than some other brewing books, and can be a bit overwhelming at first read if you don’t have a technical background. Nevertheless John does walk you through everything from basic brewing to more advanced topics like brewing at altitude or managing your mash pH. There is a reason you will find this book in just about every serious home brewer’s library. Though not as popular or well known as Palmer’s How to Brew, this book by graphic artist and brewer Randy Mosher is lavishly illustrated and very approachable even for a first time brewer. It is not quite as technical as Palmer’s book, but it does an amazing job of covering the vast majority of brewing techniques, terminology and equipment used by home brewers. I also like how Randy approaches beer from a flavor perspective rather than simply looking at it as a technical endeavor. Even as an experienced brewer, I found Randy’s insights into topics like “harsh zone malts” and flavors of various ingredients to be both unique and valuable and they gave me further insight that has helped me improve my own recipes. An older book by Ray Daniels who now runs the Cicerone program. This book walks you through a number of classic beer styles and attempts to analyze the ingredients used in award winning recipes for each style. I found this book very useful early in my brewing career as it gave me a reasonable place to start when building my own recipes for many of my favorite styles. While I don’t often directly use the book these days, the methodology of dissecting and comparing the ingredients used in top beer recipes for a particular style is something I do extensively to this day. In fact I usually start the development of a new beer recipe by first looking up related recipes. The book can be criticized because it has not been updated to reflect newer beer styles, or new brewing techniques and it only contains a limited number of styles. However I feel the content is solid and the technique can be carried over to newer recipes and styles with ease once you understand the book’s approach to recipe design. Randy Mosher has a second book in my top five list, again in no small part because of his artistic approach to beer. What I like most about Radical Brewing is that it gets you thinking in new and unique ways. Randy goes well beyond the traditional four brewing ingredients and conventional techniques to explore the sublime. While Palmer’s How to Brew provides an in depth technical approach to brewing, Randy’s Radical Brewing dives deep into the artistic side. The book is packed with ideas and examples of brewing outside the box to create beer with unique flavor combinations. If you need inspiration or a way to expand your brewing horizons I do recommend Radical Brewing. While those are my four personal favorites, I want to also mention the Brewer’s Association series on ingredients. This four book series consists of the books: Yeast, Water, Malt and Hops (Amazon links) and each one is written by an expert in the series. These four books are excellent if you want to do an in-depth dive into brewing ingredients. Leave a comment blow if you have other books you have enjoyed. Thank you for joining me this week on the BeersSmith blog – please subscribe to the newsletter or listen to my video podcast for more great material on homebrewing. For some time now, brewers of IPAs using very high levels of dry hopping have been aware of stability issues with their finished beer including diacetyl, over attenuation and even carbonation issues. However not until 2018 were researchers able to explain the problem in some detail. Oregon State University published a paper in the Journal of Agriculture and Food Chemistry and also presentations were made by Caolan Vaughan at Brewcon 2018 in Sydney and another was done at the Oregon Beer Summit. The term “Hop Creep” or “Dry Hop Creep” was coined to describe the problem which occurs when high levels of dry hops are used. Ironically, the problem was described by Brown and Morris way back in 1893 including the cause, but that knowledge was largely lost over the last 126 years. At its core, hop creep is continued fermentation in the bottle or keg after the finished beer has been packaged for distribution. Symptoms include overcarbonation of bottles and kegs, over-attenuation of packaged beer, and diacetyl off flavors. 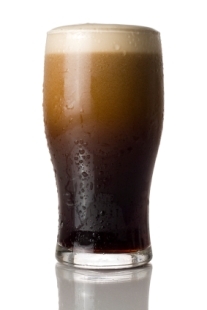 It can occur in any unpasteurized or unfiltered packaged beer. Warm storage of the packaged beer can make the situation worse. The root cause of hop creep is high levels of dry hopping. Hops actually contain trace amounts of both alpha and beta amylase as well as limit dextrinase enzymes. After dry hopping these enzymes can continue to convert a small amount of starch into sugars even at room temperature. If yeast is still present the sugars will ferment, lowering the final gravity of the beer and also creating carbonation. The net effect can be as much as a 1-2 Plato drop in final gravity over a period of 40 days, which leads to a 5% increase in carbonation levels and 1.3% increase in alcohol (Kirkpatrick and Shellhammer). There tests were done at 20 C, and higher storage temperatures can result in even more attenuation. This means the bottles and kegs will be overcarbonated, and the increased attenuation can also affect the malt-hop balance and body of the finished beer – big problems for commercial breweries. In addition the fermentation will raise the diacetyl levels of the beer, and there will likely not be enough yeast to clean that diacetyl up resulting in a buttery off flavor in the finished beer. Filter or Pasteurize the Finished Beer – Really the only way to completely eliminate hop creep, filtering or pasteurizing will remove live yeast from the equation, stopping further fermentation. Reduce Dry Hop Levels – Shift some dry hops to the whirlpool (before fermentation) where they are less likely to create enzyme problems. Cold Store you Beer – Hop creep is temperature dependent, and if you can ensure that the finished beer is stored cold, it will significantly reduce the enzyme and fermentation activity. Design “Creep” into the Recipe/Process – Some brewers purposely under-attenuate and also under-carbonate their beers, assuming hop creep will occur in finished bottles/kegs. While this won’t solve potential diacetyl issues, it can help with over-carbonated/over-attenuated beers. It can be difficult to determine how much “creep” to expect however. Dry Hop Earlier – Though not much reasearch has been done on this, some brewers believe dry hopping closer to fermentation will give the hop enzymes and yeast time to act before the beer is packaged, reducing the scope of the hop creep problem. Use Sulfites/Sulfates to Reduce Yeast Activity – While not an option for naturally conditioned bottles, you can consider adding potassium metabisulfite (and possibly potassium sorbate) to kegs to inhibit further fermentation. These additives are widely used in the wine/mead industry as a preservative and also to inhibit further fermentation. I hope you enjoyed this week’s article on hop creep. Thank you for joining me this week on the BeersSmith blog – please subscribe to the newsletter or listen to my video podcast for more great material on homebrewing. Stan Hieronymus joins me to discuss cutting edge hop research, hop creep, New England IPAs and unique farmhouse ales. Brad had a slight cold today – I apologize if my voice sounds a bit scratchy. Today my guest is Stan Hieronymus. Stan is the author of For the Love of Hops, Brewing Local and Brew Like a Monk (Amazon affiliate links). Stan shares some of the recent research done on hazy IPAs including the New England IPA style. We discuss where the haze comes from as well as new findings about extensive dry hopping and active fermentation hopping. We discuss Thiols and the role they play in hopping. We also covered this topic earlier in Episode #172. Stan introduces the problem of “Hop Creep” and how excessive dry hopping can lead to diacetyl and also carbonation issues in finished beer. Stan provides his advice for the best hop schedule for a New England IPA. Stan talks about his recent travels to meet Lars Gershol as well as the new book Lars is writing for the Brewer’s Association. He talks briefly about some of the unique “farmhouse” techniques and yeast strains Lars has been exploring. I often get emails from BeerSmith 3 users and companies asking how to create an add-on for BeerSmith. It turns out it is relatively easy to create your own ingredients or profiles and export them to a BSMX file for use as an add-on. Add-ons are stored online on a BeerSmith server, but can be easily accessed from File->Add-ons from the desktop or the main Add-ons button near the bottom of the mobile version. The desktop version also lets you organize them by type so you can display a list of just hop add-ons using the drop down at the top of the dialog. To install or uninstall an add-on you simply click on it and click the Install or Uninstall button. After installation the new ingredients or profiles will show up in the respective list. If no add-on exists for a particular malster or equipment setup (for instance) you can create your own. The first step is to go to the Ingredients or Profiles view and enter the data. For example if I’m creating a new add-on for a particular craft malt house, I would go to Ingredients->Malt and enter the new items there. Wherever possible, use the specific data from the malt house web site such as color, dry grain fine yield, moisture, etc…to fill in the ingredient dialog. If updating an existing add-on you would follow the same process except you would want to download the add-on first, then update or add new items as needed before exporting. The final step is to export the items needed for the add-on. You can do this by individually selecting all of the items. The easiest way to do this is to use the search bar (top right area) first to find all of the items first, then select them using either Ctrl+click or Shift-Click. Once all of your ingredients are selected, use the File->Export Selected command to export the selected items to a separate BSMX file. You can then go to File->Open to open the file you just selected and verify that it is complete and has all of the items you intended. While the example above was for malt, you can do the same for any ingredient type including yeast, water profiles, etc or for any profile type such as equipment profiles, carbonation or aging profiles. There is one special consideration when creating beer style add-ons. After creating the first entry for your style guide, you need to go to Options->Brewing and set the style guides to be displayed. Unless you select the new style guide you are adding (after the first entry was added) you won’t see the new styles listed. Once you have the exported BSMX file containing your add-on data, simply use the contact-us page on BeerSmith.com to contact me and include the fact that you have a new add-on. I will send an email in reply and you can then attach the new BSMX file in response. Once I’ve reviewed the BSMX file for completeness I will post it on the main add-on server for anyone using BeerSmith to use. I typically do this a few times each month to keep items up to date. That is the basic process for creating an add-on if you either work with a smaller supplier or want to contribute to the BeerSmith community. Thanks for joining me on the BeerSmith Home Brewing Blog. Be sure to sign up for my newsletter or my podcast (also on itunes…and youtube…and streaming radio station) for more great tips on homebrewing. John tells us his starting point when he is designing a new beer recipe. He shares how to determine the right mix of grains for a recipe and also how to avoid overdoing it with specialty grains. We talk about some of the flavor characteristics of different grains. John explains the harsh zone malts and why they must be used sparingly. We talk about malt balance and how you achieve a beer that is greater than the sum of its parts. John discusses the bitterness ratio and why it is important to achieve the right hop-malt balance for a given style. We also talk about why every beer should not be brewed as an IPA. John shares his thoughts on a variety of hop groups and the types of flavors those groups share. We discuss the extensive use of whirlpool and dry hopping in beer to preserve hop aroma and also how this can affect the balance of the finished beer. John tells us about some considerations that come into play when working with water including overall mineral content, mash pH and the sulfite/chloride ratio. John shares thoughts on yeast and how to choose the appropriate yeast for a given style. We briefly discuss carbonation and packaging, and John provides his closing thoughts. We also talk briefly about the upcoming BYO bootcamp in Asheville NC where John and I will both be presenting all day seminars. There are still a few slots left if you would like to attend in March. This week I present a short video tutorial on how to use the new cloud folder and move/copy features in BeerSmith 3 software for beer brewing, mead, wine and cider making. You can find additional tutorials on the main tutorial page and download a free trial copy of BeerSmith from BeerSmith.com. Today my guest is Rick Theiner. Rick is the President of Logic, Inc, makers of the Eco-logic line of cleaning and sanitation products including One-step, Straight-A and San-Step. Rick explains the difference between cleaning and sanitation and why they are separate steps using different chemicals. He also explains the more stringent disinfecting and sterilizing terms. We discuss the cleaning process which removes dirt and biofilms and how the material/surface being cleaned makes a big difference. Rick tells us why the soil/biofilm types also matter and it often takes a different combination of chemicals and action to remove them all. We discuss the four basic elements of cleaning: Time, temperature, mechanical action and chemical action. Rick also explains the many different phsio-chemical reactions going on when we clean a surface. We talk about sanitizing agents and why they are different from cleaning agents. Rick provides his basic rules for cleaning for home brewers. Rick tells us why household cleaners may not be a great substitute for cleaners and sanitizers designed for home brewing. He walks us through the products his company offers including Straight-A, One-Step and San-Step NS and how each are best used. Thanks to Rick Theiner for appearing on the show and also to you for listening! Today my guests are Dr Jamie Sherman and Jen Blair. Jamie Sherman is a barley breeder at Montana State University since 2014 where she oversees the newly created malt quality lab. Jen Blair is executive director of the North American Craft Malster’s Guild, and also a member of the AHA governing committee. She is also an advanced Cicerone and certified BJCP beer judge. We start with a discussion of the definition of Craft Malting and what makes it different from traditional large malsters. Jen, who is Executive Director of the Craft Malting Guild, explains what the Craft Maltster’s Guild is and what it does for its members. Jamie discusses craft malting in Montana as well as the work ongoing between Montana State University and both barley growers and malsters. Jen explores how growth in craft malting is following the craft beer industry’s needs for unique products and focus on locally grown ingredients. Jamie tells us what features craft brewers are looking for in new malts. Jen explains how the craft malting guild works to connect small barley growers with craft malsters. Jamie tells us about the research efforts ongoing at Montana state in barley breeding to product new barley breeds with unique characteristics and flavor. Jen tells us about some of the challenges that craft malsters face when trying to compete with large malt houses. Jamie tells us a bit about her presentation with Hanna Turner at the Craft Malting conference next month. Jen tells us a bit more about the craft malting conference to be held in February as well as the guild. Both guests share their closing thoughts on where craft malting is going in the future. We also briefly discuss how home brewers can get craft malts. Thanks to Jen Blair and Dr Jamie Sherman for appearing on the show and also to you for listening! This week I take a look at the 17 off flavors in home brewed beer found on the BJCP beer judging score sheet. These are the major off flavors you will encounter when home brewing beer, and I’ve also provided links to my more detailed summaries of the causes and correcting each flavor. For those of you unfamiliar with the Beer Judge Certification Program at BJCP.org, it is the worlds largest program for certifying beer judges who evaluate beers for most of the beer competitions here in the US. They also publish a style guide of standard beer styles along with a number of other references on judging and tasting beer. Even for those who are not into competing, their standards are a great reference. Along with judging materials they also publish the BJCP score sheet which is a scoring sheet used by beer judges. I don’t compete with my beer, but I have used the score sheet on many occasions to evaluate my beers. On the score sheet is a short summary of 17 off flavors found in beer, and it is a useful guide. While it won’t cover other problems like imbalances in your beer, it is very useful to know the off-flavors as well as how to troubleshoot them. Acetaldehyde – A green-apple aroma and flavor that is associated with problems during fermentation. Alcoholic – Excessive warmth, flavor and a hot finish caused by the presence of higher order alcohols. Astringent – A puckering, harsh bitter flavor like sucking on a tea bag. Grainy and husky – caused by excessive tannins. Diacetyl – A movie-popcorn buttery flavor, hints of butterscotch or toffee. Caused by fermentation issues in most cases. DMS (Dimethyl Sulfide) – A sweet canned or cooked corn flavor. Usually caused by an insufficient boil. Estery (Fruity) – Fruity flavors like pears, roses, raisins, and estery aromas. Caused by fermentation problems or yeast selection. Grassy – Lawn mower, fresh cur grass or wet leaves aroma/flavor. Caused by hops, excessive dry hops or poor ingredients. Light Struck (Skunky) – Aroma and flavor of the skunk. Caused by direct exposure of the beer to sunlight. Metallic – Tin, copper, iron or blood like flavors. Usually caused by metal in the beer or poor choice of cleaning agents. Musty – Stale, musty or moldy aromas and flavors. Can be caused by poor ingredients or an actual infection. Oxidized – Stale, cardboard, winey, paper or sherry like flavors. Caused by exposing finished beer to oxygen. Phenolic – Spicy, clove/pepper or smoky, plastic, band-aid or medicinal flavors. Caused by yeast, fermentation, mash or water problems. Solvent – Acetone, lacquer, paint thinner, or moonshine flavors. Caused by out of control ester production. Sour/Acidic – Sour off flavors. Tartness and aroma of sour beer, lactic acid or vinegar. Caused by bacterial infection. Sulfur – Aroma of rotten eggs or burning matches. Often caused by yeast and will frequently fade with time. Vegetal – Aroma of rotten, cooked or canned vegetables. Caused by moist or stale ingredients. Yeasty – Bready, sulfury or yeast like aroma. Caused by beer being too young or not properly cleared. As I mentioned this is a summary article – so if you are interested in learning more about any of the off flavors above and getting to root cause, just click on the links above. Kyle and Greg Stelzer join me from 24 Hour Hops where they are growing hops year-round in greenhouses in Arizona and providing wet hops to home brewers! Today my guests are Kyle and Greg Stelzer from 24 Hour Hops. Kyle and Greg have started a unique business growing hops year-round in greenhouses with the goal of providing fresh wet hops throughout the year to home brewers. We discuss how they decided to start a hop business in the desert of Arizona – an area not often associated with hops. Kyle tells us about their decision to focus on the homebrew market and delivering fresh wet hops directly to homebrewers right after they are picked. We talk about the challenges of growing hops in a greenhouse versus a more traditional outdoor location as well as the flexibility it provides. For example they can produce several crops from a bine in a single year. Kyle tells us how large the operation is and the varieties of hops they are focused on. Greg explains the use of hydroponics rather than traditional soil for growing hops, and the advantages of having complete control over the nutrients provided. Kyle shares the hop cycle and how they are able to simulate winter to get multiple hop cycles from a single plant in a year. We discuss brewing with fresh wet hops and some of the challenges it provides. Kyle also explains how they pick and ship fresh wet hops directly to homebrewers within a day or two. Greg shares some of the things they have learned diving into hop growing over the last few years. They share their web site 24HourHops.com where you can order hops or learn more about working with wet hops. Both provide their closing thoughts. Thanks to Greg and Kyle Stelzer for appearing on the show and also to you for listening! This week I present a short overview of the cloud sharing, privacy and folder features available in BeerSmith 3 home brewing software. The cloud features in BeerSmith let you share recipes between your computers and phone, share with other users or just use as an online private backup for your recipes. The BeerSmith cloud is an online server located at BeerSmithRecipes.com which currently has some 850,000 beer, mead, wine, and cider recipes. Access to the cloud is integrated into the desktop and mobile versions of BeerSmith software as a “cloud folder”, which reach back to the server to access recipes stored there. In BeerSmith 3 a secure connection (SSL/Https) is used. Sharing recipes privately between your computers and mobile devices. All recipes are private by default. You can add items to your cloud folder by either moving/copy/pasting new items to the folder or by creating a new recipe in the cloud folder area. On both the desktop and mobile version the cloud folder is a separate selection to differentiate it from the locally stored “My Recipes” folder. On the desktop you click on the large “Share” icon (looks like a large lock) from Cloud view to change the privacy settings for the selected recipe. On the mobile version, there is a selection on the menu that lets you alter privacy. On the mobile if you open a cloud recipe there is a “Sharing State” button just under the section with the recipe name that lets you adjust privacy. Private: By default, anything you add to your cloud folder is marked as private which means that only people logged in with your cloud login can access them. They are not publicly listed or accessible unless you take action to share them. Private recipes can be reached from your other mobile or desktop devices, but only if you are logged into your account. Shared: On both the mobile and desktop version there is a button that allows you to share a selected recipe. If you opt to share the recipe, it will now be accessible from both the BeerSmithRecipes.com search page as well as the cloud search functions within BeerSmith desktop and mobile. Shared recipes can be found and downloaded by any other BeerSmith user. Unlisted: If you mark a recipe as “unlisted” it will not show up in general search results, but it can be accessed using the sharing ID shown. The idea behind an unlisted recipe is that you can give the sharing id to a friend so they can access the recipe without having it listed in search results for something you may not want shared with the whole world. It is important to note that each recipe has its own privacy setting, so you can choose to either keep all your recipes private, or select just a few recipes to share or mark unlisted. That is a quick overview of the recipe sharing options available in BeerSmith and the BeerSmith cloud. Thanks for joining me on the BeerSmith Home Brewing Blog. Be sure to sign up for my newsletter or my podcast (also on itunes…and youtube…and streaming radio station) for more great tips on homebrewing.